Described as the most anticipated Nollywood movie of the year, The Wedding Party 2: Destination Dubai finally hits cinemas today the 15th of December, 2017. #TWP2 had a one of a kind grand premiere which held last weekend at the weekend in Eko Hotel & Suites, Victoria Island, Lagos. They upped the ante with the occasion, courtesy of an Arabian-inspired dress code and matching décor. Throngs of guests, dressed in gorgeous Arabian chic outfits, added to the spirit of the occasion. 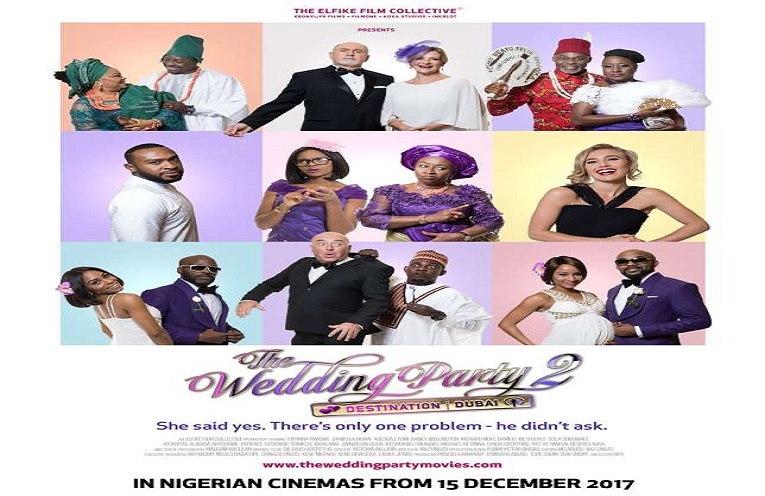 A sequel to the highest grossing Nollywood movie yet, “The Wedding Party 2” follows the romance between Nonso Onwuka and Deirdre; the bridesmaid from London. Do you think the sequel will break the record of highest grossing Nollywood cinema movie? Please share your thoughts using the comment section.